This section contains information and links to resources to assist you in doing a better job of providing quality drinking water to your customers. The National Rural Water Association is a non-profit federation of State Rural Water Associations. Our mission is to provide support services to our State Associations who have more than 30,000 water and wastewater systems as members. Federal funds from the Community Development Block Grant Program are administered by the Alabama Department of Economic and Community Affairs. Municipalities and Counties that meet thresholds (the only eligible applicants) may apply for a wide range of public facilities in instances where the people directly benefited are primarily of low and moderate income. Among the type of projects eligible for funding are water systems extensions and sewer collection lines, street and drainage improvements and housing rehabilitation. Alabama is blessed with a wealth and variety of natural resources which provide significant social, economic, and environmental benefits and opportunities for the citizens of Alabama. The mission at ADEM is to assure for all citizens of the State a safe, healthful, and productive environment. The Alabama Emergency Management Agency (AEMA) serves to keep Alabamians safe from potential disaster and to minimize physical or financial suffering from these events. We provide around-the-clock monitoring of varying conditions throughout the state (weather developments, etc.) and provide the absolute highest standard of safety for Alabama citizens in times of crisis. We coordinate timely emergency assistance to local communities when they are affected by disasters such as tornadoes, floods or hurricanes. In the event of any situation or disaster that escalates beyond local government control, we work on behalf of Alabama citizens to ensure prompt assistance on both the state and federal levels. At the AEMA, it is our mission to provide preparedness, response, recovery and mitigation programs on an ongoing basis to make sure that the people of Alabama are prepared for the next natural or technological emergency. outline future water management options for the watershed. 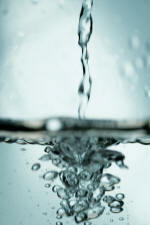 The plan is available and is a great informational resource for the Water Industry. You may view the Plan in its entirety at cpyrwma.alabama.gov. A map of the watersheds is available here. 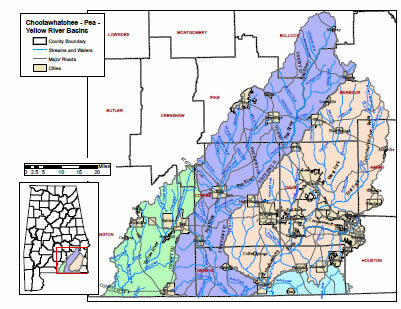 The Choctawhatchee, Pea and Yellow Rivers Watershed Management Authority represents a wide and diverse area of land covering a major portion of the southeastern part of Alabama. Making decisions about retirement is serious business-especially today. You are making decisions which will impact the rest of your life and in most cases, in your beneficiary’s life. If you are unable to have all your questions answered over the phone, you can easily meet our counselors in person. We offer our members opportunities to meet with RSA counselors at our headquarters building in Montgomery, as well as locations throughout the state. The RSA also offers many educational opportunities through our retirement and mid-career seminars at convenient locales around Alabama. The Mission of the Retirement Systems of Alabama is to serve the interests of our members by preserving the excellent benefits and soundness of the Systems at the least expense to the state of Alabama and all Alabama taxpayers. Whether you are a teacher, bus driver, state or local employee, judge, or state policeman, the RSA provides a number of personal services and educational opportunities for our members. This information is a guide to keep for those times you need to contact the RSA either by phone, in person, or online. The RSA is available to you whenever you want and wherever you are by simply going online at www.rsa-al.gov. Many times the information you need can be found online without picking up the phone or making an appointment to visit our headquarters in Montgomery. Alabama Legislative Act 1965-833 established the State Employees’ Insurance Board (SEIB) in 1965. 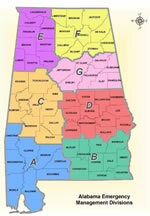 Its current operating authority can be found in Section 36-29 Code of Alabama 1975. The SEIB was initially empowered by the Legislature to establish a health insurance plan for State employees. The eleven-member Board is composed of the five members of the State Personnel Board, the Director of the Finance Department, the Secretary-Treasurer of the Employees’ Retirement System of Alabama, two elected active state employees and two elected retired state employees. The SEIB is an agency of the State of Alabama and is responsible for various aspects of the administration of four benefit plans and programs: State Employees’ Health Insurance Program (SEHIP), Local Government Health Insurance Program (LGHIP), Flexible Employees’ Benefit Plan and Alabama Health Insurance Plan (AHIP). The SEIB serves as the Plan Administrator for the SEHIP and the LGHIP. These are self-insured comprehensive health benefit plans serving approximately 120,000 active and retired State and local government employees and their dependents. As Plan Administrator, the SEIB is primarily responsible the control and supervision for the SEHIP and the LGHIP. The SEIB is also responsible for designing benefits and setting premiums. Alabama Department of Public Health – State Worksite Wellness Program Administrator. To determine your Utility’s eligibility contact the Local Government Health Insurance at the telephone number above or visit www.alseib.org. The Farm Service Agency (FSA) traces its beginnings to 1933, in the depths of the Great Depression. The agency has gone through many transformations since that time, as well as several different name changes. The main goal of the FSA continues to focus on providing America's farmers with a strong safety net through the administration of farm commodity programs. FSA also implements ad hoc disaster programs. FSA's long-standing tradition of conserving the nation's natural resources continues through the Conservation Reserve Program (CRP). CRP is a very well-known program, particularly among agricultural producers. CRP protects millions of acres of American topsoil from erosion and is designed to safeguard the Nation’s natural resources. By reducing water runoff and sedimentation, CRP protects groundwater and helps improve the condition of lakes, rivers, ponds, and streams. Acreage enrolled in the CRP is planted to resource-conserving vegetative covers, making the program a major contributor to increased wildlife populations in many parts of the country. CRP is a voluntary program that helps eligible applicants safeguard environmentally sensitive land for conservation benefits. Applicants determined eligible for enrollment in CRP plant long-term, resource-conserving covers to control soil erosion, improve water and air quality and develop wildlife habitat. In return, FSA provides participants with rental payments and cost-share assistance. Contract duration is between 10 to 15 years. FSA administers two types of CRP sign-ups – CRP General Sign-Up and CRP Continuous Sign-Up. Applicants can offer land for CRP general sign-up enrollments only during designated sign-up periods announced by the USDA Secretary of Agriculture. Offers are subject to competitive bidding. For CRP continuous sign-up, environmentally desirable land devoted to certain conservation practices may be enrolled at any time. These offers are automatically accepted provided the land and applicant meet certain eligibility requirements. Offers for continuous sign-up are not subject to competitive bidding. CRP offers a variety of conservation practices from which applicants may choose when considering suitable covers to apply to the land. Riparian buffers, wildlife habitat buffers, wetland buffers, filter strips, wetland restoration, grass waterways, contour grass strips, and shallow water areas for wildlife are some of the most popular beneficial practices that are available for consideration, but many others are also available. Land within an Environmental Protection Agency (EPA)-designated public wellhead area may also be eligible for enrollment on a continuous basis. 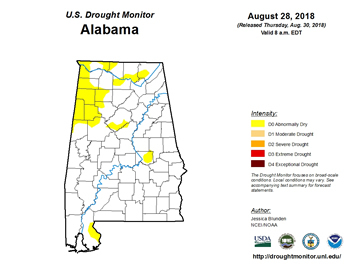 Drought conditions throughout the State of Alabama are much better than during the historical drought of 2007, but now is not the time to let down your guard. In past years, drought conditions forced a parent system in Northwest Alabama to restrict the amount of water its consecutive systems could receive, causing an emergency to be declared in that area. As water system operators and managers, it is our duty to remain ever vigilant in order to protect our precious commodity during times of possible emergency. Luckily, there are plenty of resources available to help you do just that. Remember that information is a powerful tool when it comes to predicting and responding to dry weather emergencies. Operators should perform monthly draw-down tests at each well in order to track changes in your water table. Daily pump run-times should be monitored in an effort to track customer demand, especially during the dryer times. This information will be invaluable in detecting critical changes in your normal operating environment and could prevent supply shortages and tens of thousands of dollars in equipment failures. Remember to update your Emergency Water Conservation Plan. This plan will establish procedures to follow during drought emergencies. Should you need help creating, updating, or implementing an Emergency Water Conservation Plan, remember that your Alabama Rural Water Association Circuit Rider has the templates and the experience to assist you. Public education should also be a major component in any well managed water system's water conservation efforts. An informed public is more likely to conserve resources, and will be more aware of unnecessary wastes, such as leaking toilets and faucets. The California Urban Water Conservation Council (CUWCC) has an interactive website (http://www.h2ouse.org/) in which your customers can take an interactive tour of a house plan with water saving tips for every area of a house! Hopefully, with the increase in rainfall we've been experiencing, droughts will soon no longer plague our great state. But until then, your diligent research, meticulously compiled records, and army of informed customers will help insure that you can avoid disaster and confidently move forward with every water system's goal of providing a constant and plentiful supply of clean and safe drinking water. For the latest information on drought in the US, go to https://droughtmonitor.unl.edu/DroughtSummary.aspx. This is a national site that tries to consolidate all available information on drought. Alabama Office of Water Resources (OWR) at adeca.alabama.gov/ Divisions/owr/Pages/default.aspx contains links to Alabama Drought Planning. Alabama Power Reservoir Status - Go to alabamapower.com and search on reservoir status. Please provide updated information to the ARWA regarding your current drought situation. Many Conservation Plans have been implemented but maintaining which stage systems are enforcing is critical to State Agencies reporting to the Governor’s Office. As one of the 48 Districts in the Water Resources Division of the U.S. Geological Survey, the Alabama District is an integral part of a Federal agency devoted to data collection, applied science, and dissemination of information. 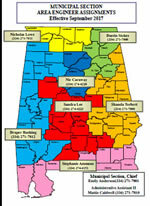 The Alabama District has two offices - the main District Office in Montgomery and the Field Office in Tuscaloosa. This District provides relevant, unbiased, water-resources information and expertise needed by others to achieve the best use and management of water resources in Alabama.